I had an interesting couple of days at an innovation event last week, at the same time as the national local medical committees (LMCs) conference in London. In the way of the 21st century, it was easy to follow events unfolding in both events through Twitter and mailing lists - and the distance between the two events was stark. The anger and dismay of LMCs at the state of the NHS was very clear, with calls for war and a belligerent view of enforced change. The innovators were equally passionate but convinced that change was inevitable. The quote 'the future is here, it's just unevenly distributed' was never more true than today, with the prime minister's challenge funds and Simon Stevens' new acute innovation pilots. Can LMCs provide leadership GPs need? I wondered whether the LMCs saw themselves as having a role in innovation? Would they consider it their job to be ensuring that general practice works as well as it can? Would they see change and innovation as inevitable? Right now, the provider side of general practice needs a champion. A moderniser passionate about doing general practice as it can and should be done. That leader may currently be in the CCG holding a frail and failing secondary care system to account. Perhaps that leader might be in the LMC. Wherever they are, they need to step up and be prepared to set out a new way for practices, patients and providers, to work together in modern innovative ways before it's too late. 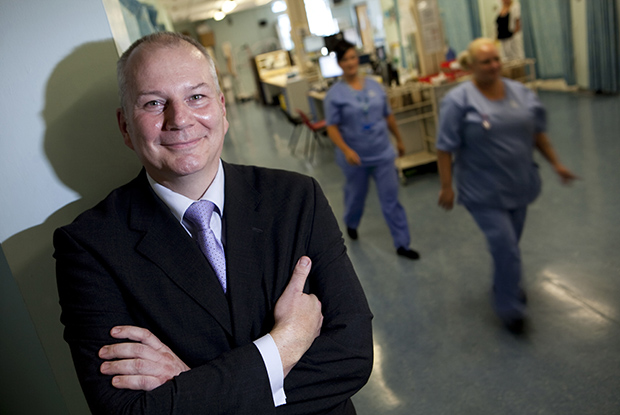 Dr Chris Mimnagh is a GP and co-director of clincial strategy at Liverpool Health Partners.